If you are experiencing clogged drains in your business or home, contact the professional drain cleaning services from Emergency Plumbing Cary in Cary, NC. An expert drain plumber is on call 24 hours a day to handle your plumbing emergencies, including drain clogs. When sinks, tubs, or other drains are clogged or damaged, contact Emergency Plumbing Cary. A drain plumber from our company will come to your home or business and provide the best drain cleaning services available in Cary, NC and surrounding areas of the Triangle. No matter the cause or location of your clogged drains, we have solutions. Whether you need drain cleaning services for your kitchen, bathroom, basement, or outdoor drain, a drain plumber from Emergency Plumbing Cary will remove the clog and repair drains and pipes to function properly once more. And any other drain cleaning services you may need! When you experience drain clogs or clogged drains in Cary, NC and surrounding areas, contact a drain plumber with Emergency Plumbing Cary for professional deain cleaning services, 24 hours a day, 7 days a week. For drain clogs and clogged drains, contact a drain plumber with Emergency Plumbing Cary for drain cleaning services in Cary, NC. 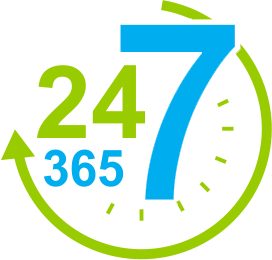 A member of our staff is on call 24/7 to assist with all of your emergency plumbing repair needs. Emergency Plumbing Cary is the name to remember for all of your plumbing needs in Cary, Knightdale, Raleigh, Garner, Morrisville, Chapel Hill, Durham & the Triangle. For plumbing repair emergencies, plumbing installation services, and plumbing testing & plumbing inspection needs. Call now at 919-628-9941 or contact us online. I have worked with Dustin twice. First he replaced my faulty appliance, the second time he replaced my faulty toilet. Dustin was able to replace both items very quickly (same day) and for a great price. Dustin does really good work, he is someone I can trust, he has a great attitude, and his prices are very fair and reasonable. Thanks Dustin! I've given Dustin from Emergency Plumbing Cary all plumbing responsibilities since early 2016 (both emergency work and scheduled finish work). This has given me the opportunity to see his work on many projects, which is very consistent in quality. He gets the job done correctly, does not cut any corners, leaves the area clean, and is very fair with pricing. If you are looking for a straight-forward company who believes in incredible transparency for its customers, call Dustin at Emergency Plumbing Cary. We are not currently licensed or certified for all plumbing jobs in NC, but we are insured. If there's a plumbing job that we can not legally provide, we will refer you to one of our partners.